In the same class as the Appalachian Trail, the North Country National Scenic Trail is over twice as long as its older cousin. 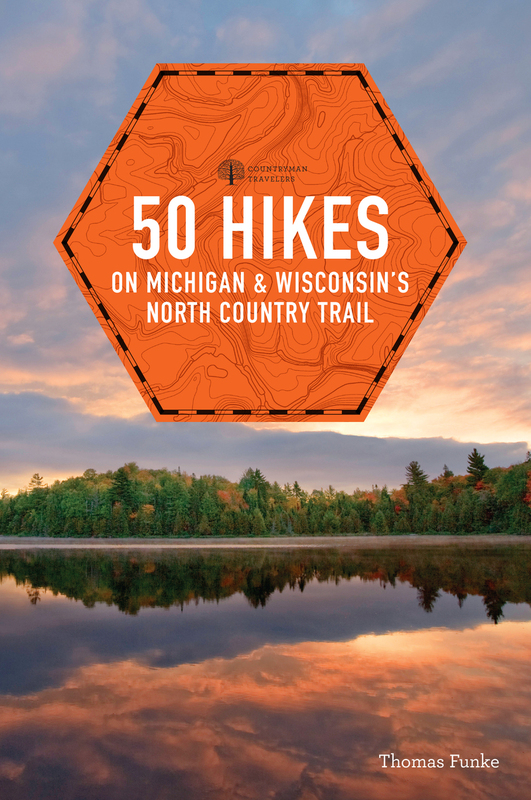 50 Hikes on Michigan&Wisconsin's North Country Trail is a guidebook for both the day hiker and the long-distance backpacker. With full-color maps and elevation profiles, it covers the certified trail on the ground as well as portions yet to be certified in adjoining states. Included are resources for long-distance backpackers to help them connect trail segments and find local services, as well as mileage charts and other valuable information. Nearly 1,000 miles of trail and connecting routes are covered. Thomas Funke has been the director of conservation education at Binder Park Zoo in Battle Creek, MI, and resident manager of the Michigan Audubon Otis Sanctuary in Hastings, MI, a 120-acre bird sanctuary. An avid hiker and freelance outdoor writer, he lives in Hastings, MI.